If you’re looking for an alternative to a traditional burial ground, then Much Hoole Woodland Burial Ground could be just what you are looking for. Offering a natural alternative to traditional graveyard or crematorium burial in an area of unique beauty. A woodland burial ground provides an informal and meadow setting that is a peaceful final resting place for your loved ones, with all burials being placed around mature trees. Whilst a Woodland Burial Ground may be chosen for 'Green' reasons, it also provides far greater flexibility and less formality than a traditional graveyard. You can visit your loved ones and sit in peace in natural and tranquil surroundings - making it an ideal place for reflection. Much Hoole Woodland Burial Ground was the first privately owned consecrated woodland burial ground in the country, being consecrated back in 2005. So unique was it, that we were featured on television and other media. Whilst Much Hoole Woodland Burial Ground, is consecrated both non-religious and graveside funerals are accommodated. Our funeral services and woodland burial ground are very much a family business, with myself, my wife and daughter living adjacent to the woodland burial ground and both our staff and ourselves maintain the grounds. My son runs the monumental side of the business, providing all the flat sloping stones and inscriptions for the Woodland Burial Ground. You and your family members will be looked after by our family. Because of the natural setting of the woodland burial ground, no maintenance is required from family and friends. All grass cutting is done by the staff at Much Hoole Woodland Burial Ground, so you can visit and spend time taking in the surroundings, without having to think about the upkeep of your loved one’s burial site. 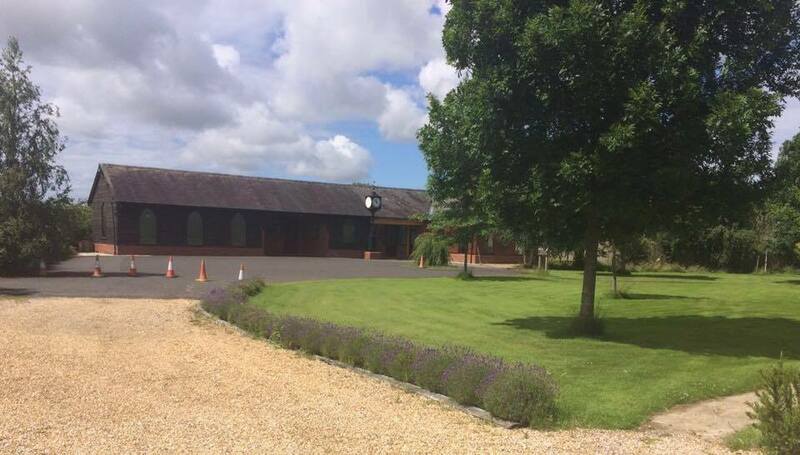 Your loved ones will be laid to rest in this peaceful countryside setting of beautiful meadowland, surrounded by fields where our own Shire Horses graze, with views overlooking Parbold and Winter Hill. Each of the woodland burial resting places is set amongst wild flowers and native trees including Oak, Ash, Cherry, Chestnut, Silver Birch, Beech and Lime giving shelter to your loved ones. Birds and other wildlife live freely, and the birds' tweets are often the only sound you will hear in this peaceful woodland burial ground. Clients come from a wide area of the country, as far away as 150 miles, to be in this beautiful woodland burial ground. Next to the Woodland Burial Ground we now have our very own dedicated God’s Acre Chapel, but you are of course free to use any Church for your funeral service before the burial at our woodland burial ground. This provides you with a place for your funeral service (be it religious or non-religious), a shelter from the weather and a meeting place. The chapel has been built using local materials and is in keeping with the surrounding area.